In this day and age mums are clever, educated, and bustling with excitement as they navigate through life, fighting challenges left and right. It’s a lot of work; but somehow, they juggle careers, children, and still find the time to indulge their interests. Hence, the fashion these mums pick is practical, stylish, and entirely cool and modern. 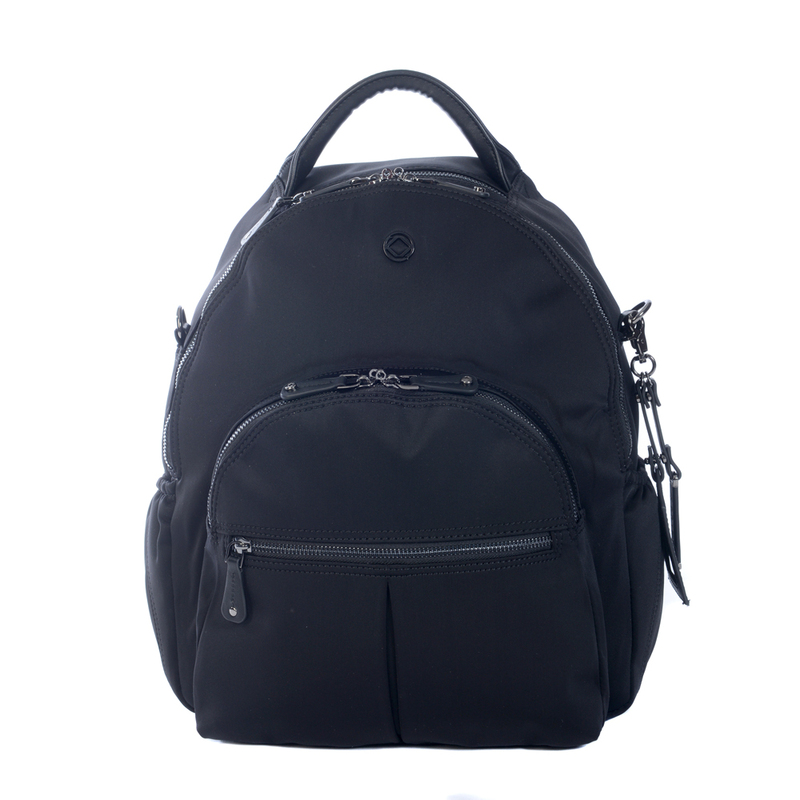 This month we came across the Joy Black Scuba and Vegan Backpack from Kerikit. With an upsurge in people adopting a vegan lifestyle, it’s not just food without animal products that are in greater demand, but also fashion accessories. Consequently, more and more people are turning away from bags made of traditional leather, and looking for cruelty-free, vegan-friendly alternatives. This luxe vegan backpack bag is based on KeriKit’s award winning Joy Silhouette combined with black scuba body and vegan leather trims. This is the perfect work bag, gym bag, travel bag and baby bag. You could say in fact it’s the ‘go everywhere do everything’ bag for women who need to be totally organised without ever compromising on style. 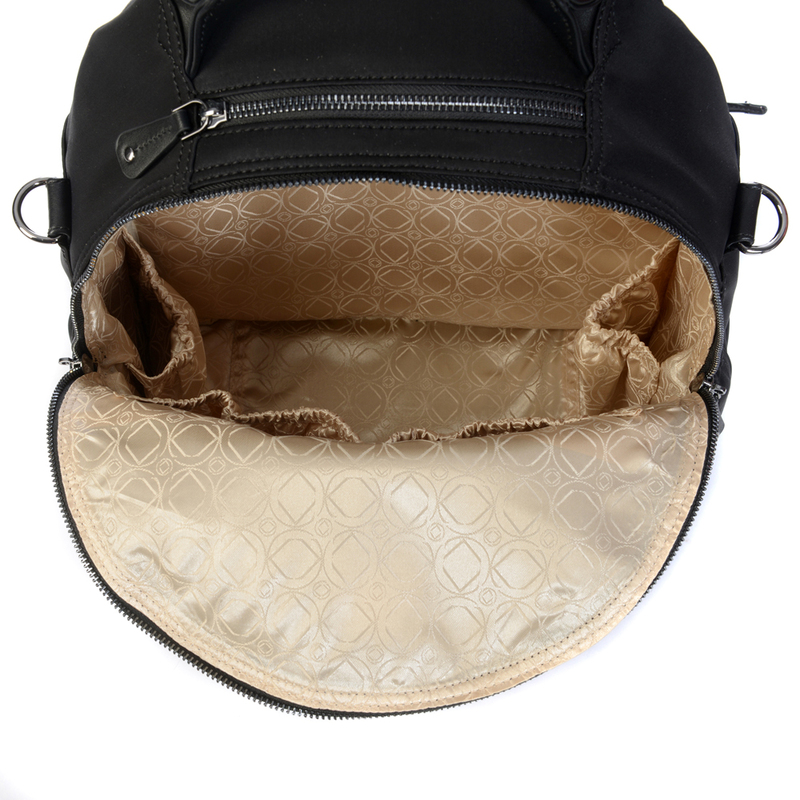 Its lined in gold and come with a range of compartments for all your belongings. A fashion lover knows the great impact having quality accessories can have on our confidence and our mood. If you look good, you’ll feel good, and taking the time to enjoy your interest in fashion is a great way to do that. This bag is a limited edition and is priced at £145.00.